Sandra, a Toronto woman in her early 40s, has a problem with recurrent depression. For four years, she tried "almost every approach there was" to stop it. "Nothing worked for long," she says. "I'd take medication, they'd say increase the dose, then I'd get worse." Then she heard of a study at Toronto's Centre for Addiction and Mental Health (CAMH) run by psychologist Zindel Segal, who was testing a program of therapy that has shown promise in patients who frequently relapse into depression. Called mindfulness-based cognitive therapy, it was developed to help people with depression and is being tested at CAMH with a $2.5 million grant from the National Institutes of Health in the U.S.
Mindfulness and the Present Moment @ Health, contentment and trust. Watch this space for details of openings. 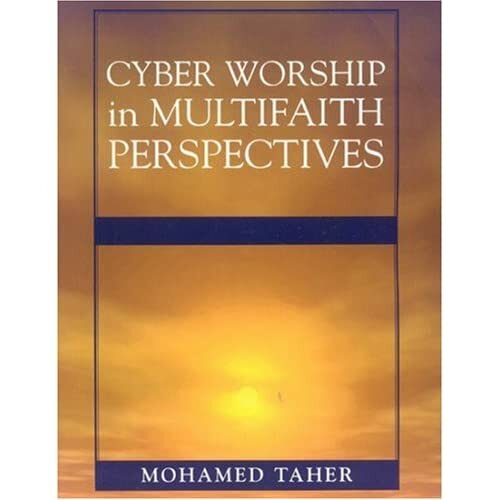 Here is a sample from inside the Book: Cyber Worship in Multifaith Perspectives--full of resources that will facilitate building bridges in a Multifaith society. Feedster on: "Multifaith Hall "
Much more is here: Dictionary of Library and Information Science Quotations by Mohamed Taher and and L.S. Ramaiah.